Following her recent appearance at Shangri-La Hotel, at The Shard, London’s third Cultural Salon, London-based designer, Beatrix Ong, MBE introduces a new limited edition luxury slipper created exclusively for the guests and residents of the hotel. 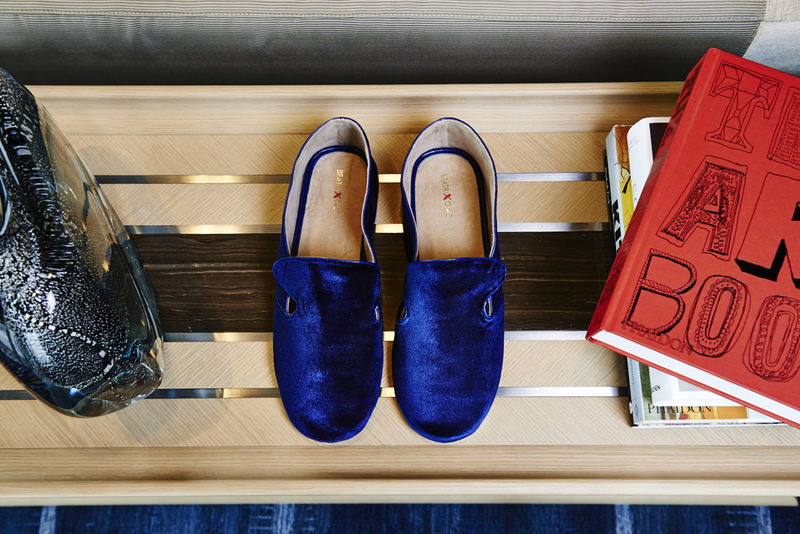 The slippers are a marriage of sustainability, high design and comfort that both brands are renowned for and will only be available in London’s only elevated hotel . The hotel’s 202 luxuriously appointed rooms and suites are all individually designed with Asian influences complementing the stunning skyline. 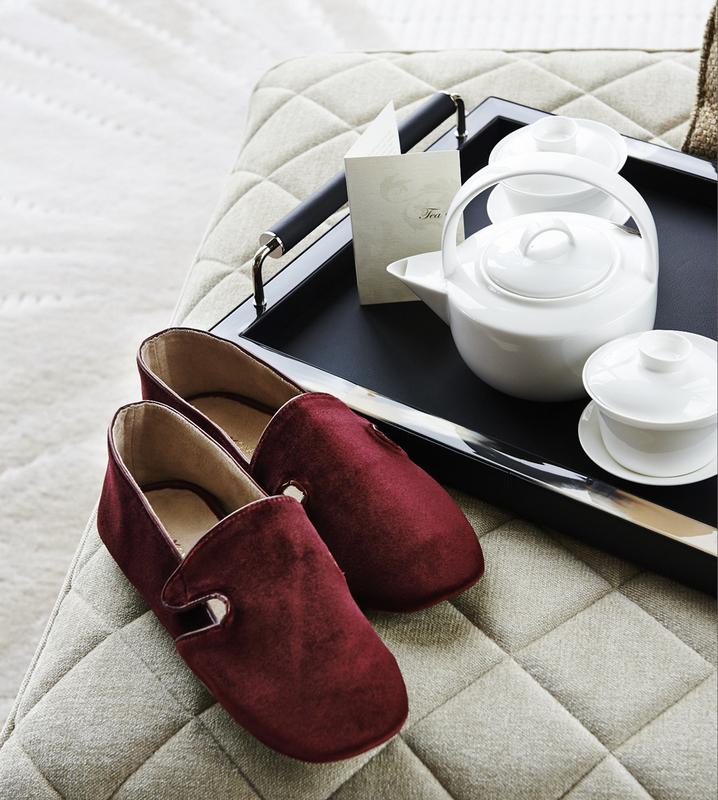 Alongside luxurious amenities such as Acqua Di Parma bathroom products, Chinese Tea Sets and a pillow menu, the exclusive range of slippers will be available as a complimentary luxury amenity within the hotel’s three Signature Suites: The Shangri-La Suite, The London Suite, and The Westminster Suite, and will be available in all rooms and suites. Made with luxurious silk velvet and non-slip suede soles, and in two sizes, the backs can be folded down transforming them into a slip on style if desired. Shangri-La Hotels and Resorts, one of the world’s premier hotel companies, currently owns and/or manages more than 90 hotels under the Shangri-La brand with a room inventory of over 38,000. Over four decades the group has established its brand hallmark of ‘hospitality from the heart.’ The group has a substantial development pipeline with upcoming projects in mainland China, Cambodia, Hong Kong, India, Myanmar, Philippines, Qatar and Sri Lanka. Grey Goose vodka has joined forces with Central Saint Martins on the school's largest alumni project to date, the Les Visionnaires scholarship fund. Drawing from the vast pool of creatives who once trained there, they engaged a roster of 21 illustrious participants across multiple industries. Built on a shared ethos to celebrate and support the great visionaries of the future, GREY GOOSE vodka has collaborated with Central Saint Martins to launch the Les Visionnaires Scholarship Fund, giving the next generation of inspiring new talent an opportunity to study at the prestigious College. 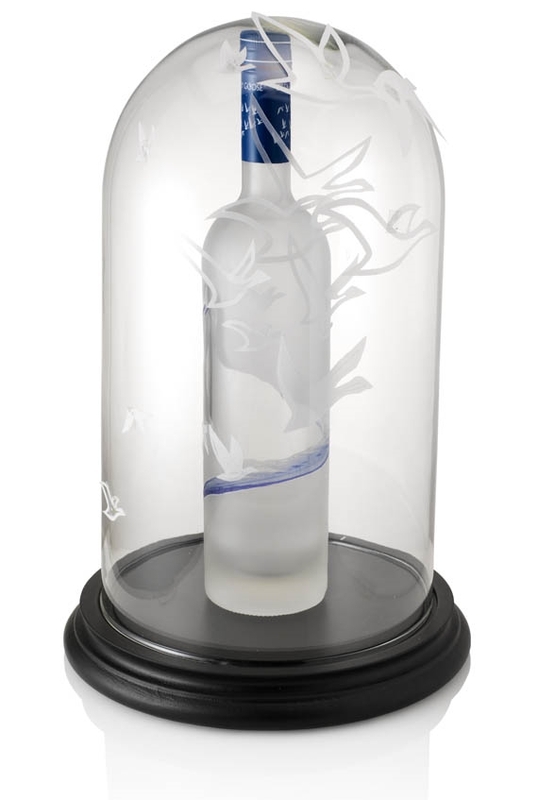 Each collaborator has designed artwork for limited-edition bottles of the premium vodka with the brief “fly beyond”. These went under the hammer in an auction hosted by Dylan Jones in July 2015, alongside original artworks and personal items donated from the artists as part of the project. 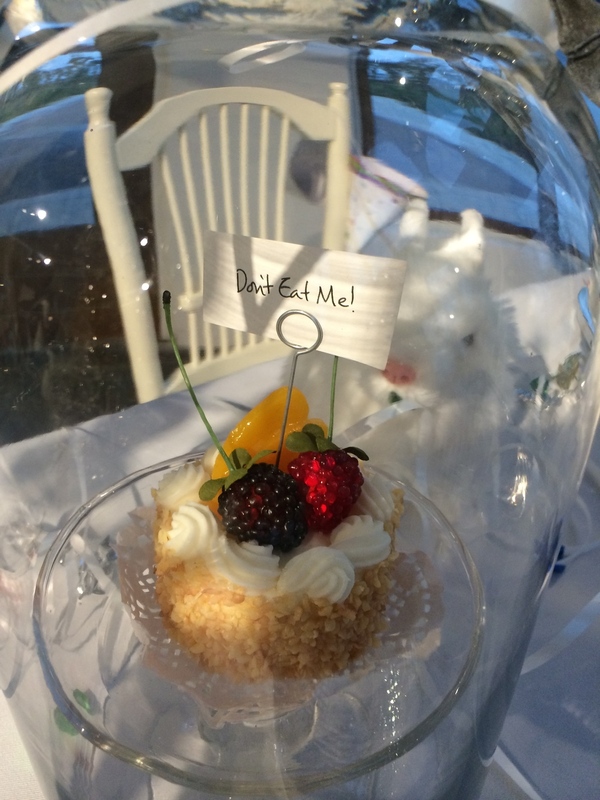 Names range from Terence Conran, fashion designer Giles Deacon (whose bottle featured fashion sketches), musician Jarvis Cocker (his bottle had a goose sitting on a golden egg) and milliner Stephen Jones (whose bottle was a feathered creation) to GQ editor Dylan Jones (a selfie featured on his bottle) and designer Beatrix Ong (who sealed her delicate geese in flight in a bell jar). 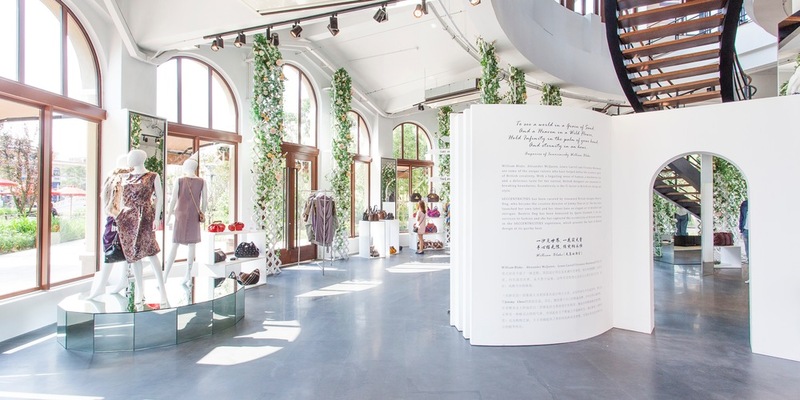 In October 2014 renowned shoe designer Beatrix Ong will unveil her expression of British elegance and eccentricity in the Water Pavilion at Suzhou Village, one-hour south east of Shanghai. Daniel Jeffreys reports. Young girls flying down rabbit holes, hobbits and elves, King Arthur and his magical knights, Harry Potter, Sir Gawain with his green dragons – they are all products of the eccentric British imagination. For a small country with a damp climate and a reputation for being unemotional, Britain has an exceptional tradition of fantasy and fun, so it’s no surprise to find that British fashion designers approach their craft with a charming creativity that’s whimsical and elegant. 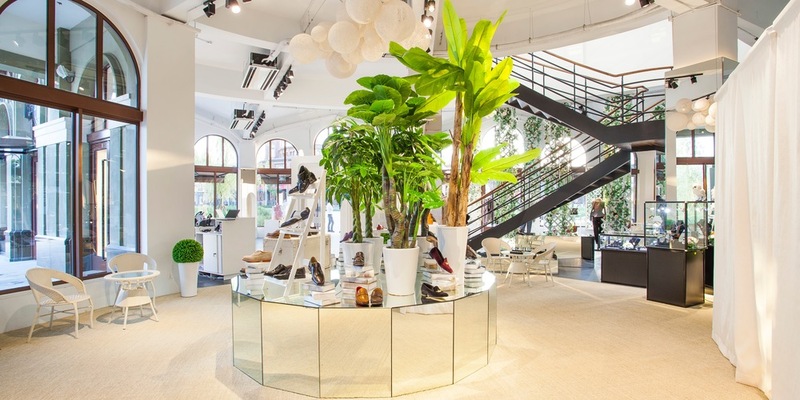 Acclaimed British shoe designer Beatrix Ong is no exception. 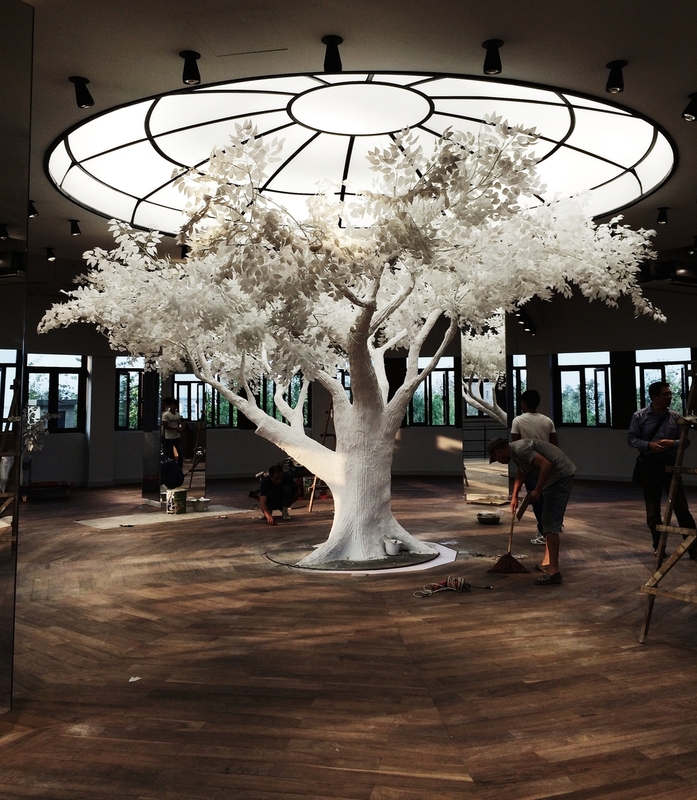 She will bring her subtle eccentricities to Suzhou Village’s Water Pavilion in October and it promises to be a captivating marriage of sophisticated style and inventiveness. “I love the elegant eccentricity of British creativity,” says Ong. “Style can’t be too quirky or too serious.There needs to be harmony." The Water Pavilion where Ong’s experience will take place is a beautiful two-story space in Suzhou Village’s Water Garden, a sylvan terraced collection of fountains, scholar’s rocks, Ming dynasty style bridges, trees and flowers. Ong observes that gardens are a symbol of rest and of solace in both British and Chinese cultures, being places of great pride and beauty and an expression of national identity. In creating the atmosphere for the Water Pavilion, Ong was inspired by the Bloomsbury Group, one of the most powerful and inventive combinations of eccentrics in England’s long history of innovation. The group included such luminaries as Virginia Woolf, Vita Sackville West, E. M. Forster, Lytton Strachey, T.S. Eliot, Vanessa Bell and Duncan Grant. In 1916 Bell and Grant moved to a country house called Charleston in East Sussex. It became a captivating expression of English eccentricity. The garden, crafted by artist Roger Fry, was designed to be a pulsating expression of colour and texture so that fellow artists could use it as a psychedelic subject for their work. The interior of the house was created with the simple rule that everything from doorknobs to kettles to fireplaces had to be “captivatingly beautiful”, with every kind of function sacrificed on the high altar of aesthetic form. The exquisite and beguiling work of the Bloomsbury group has inspired designers throughout the last fifty years. The eccentric charm found in their work is exactly what Ong creates with her shoes, which are made for walking but have frequently been referred to as works of art. 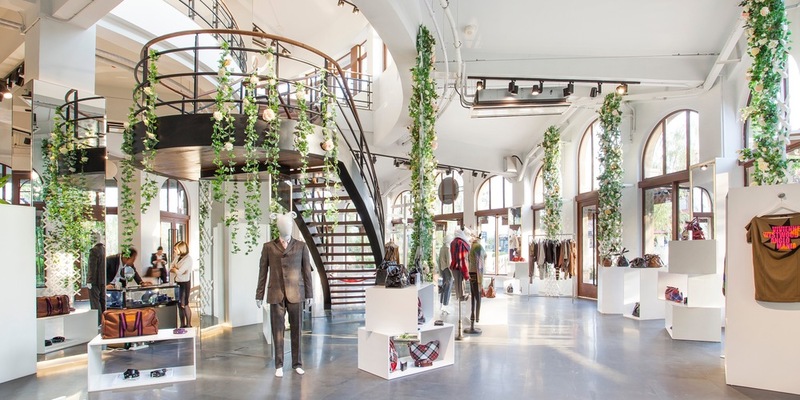 It is this idea, that style and fashion can use imagination and creativity to cross the choppy waters of design and alight on the sylvan shores of art, which is the driving force behind the Water Pavilion experience. The Water Pavilion experience will begin in early October and will run for six months. With Ong’s enviable reputation for innovation her interpretation of British eccentricity is bound to something that nobody in China’s creative community will want to miss.